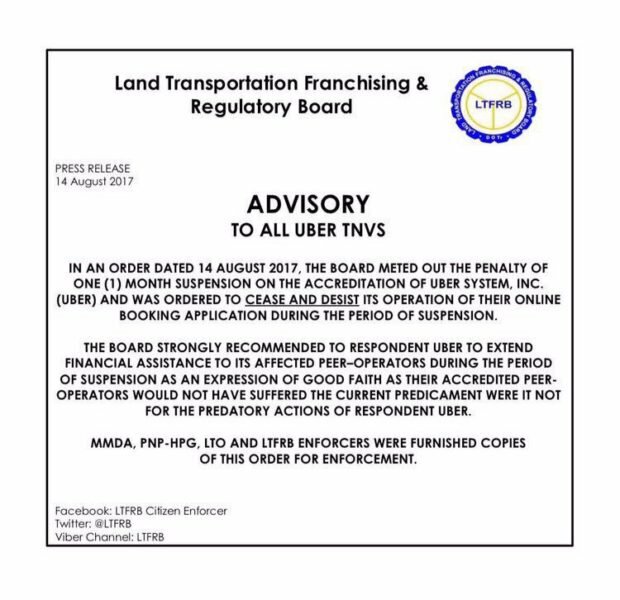 AUGUST 14, 2017 | The Land Transportation Franchising and Regulatory Board on Monday suspended the accreditation and operations of Uber System Inc. (Uber) for one month. Copies of the suspension were furnished to enforcers of the LTFRB, Land Transportation Office, Metro Manila Development Authority and the Philippine National Police Highway Patrol Group. 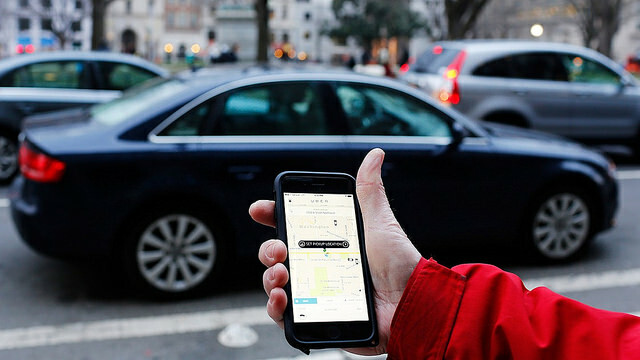 Uber and rival Grab have been locked in dispute with the LTFRB over the scope of regulation on ride-sharing services, sparking separate investigations by the Senate and the House of Representatives. The LTFRB earlier fined Uber and Grab P5 million each, accusing the companies of operating some 50,000 vehicles without proper permits. How this affect your daily life? Share your thoughts below.